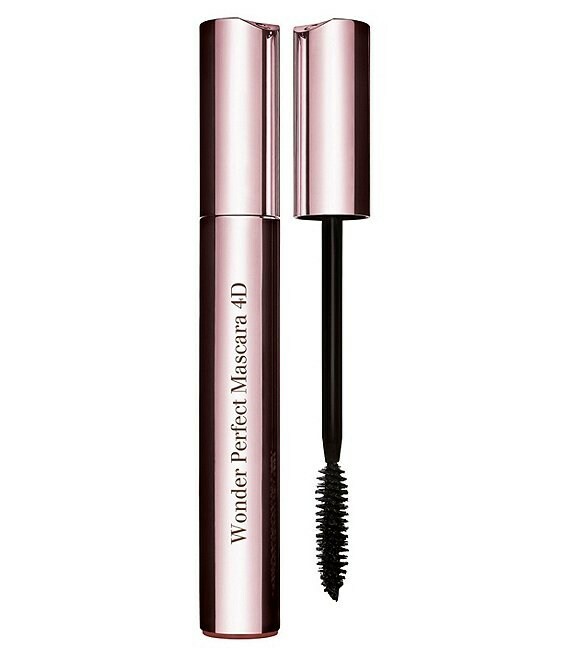 A 4D mascara that curls defines lengthens and volumizes for a captivating, wide-eyed look. Takes lashes to bold new dimensions with intense carbon-black mineral pigments and filmogenic Rose Wax for long-wearing color and hold. Our exclusive Lash Boosting Complexcontaining Sphingony and Panthenolprotects and promotes visibly thicker, longer-looking lasheseven after you remove your mascara. A precision brush makes sure that no lash goes unnoticed. 1. Apply from roots to tips of lashes. 2. Apply a second coat if desired. Clarins Makeup: A color that cares for your skin. Formulas that perform like skincare, that's the beauty behind Clarins makeup. Enriched with plant extracts, our expertise speaks for itself.